Faith is such a personal thing, people can tell you to believe but those are just words. But faith… real faith is living and breathing, it changes you. Truth be told, it used to annoy me (and sometimes still does) when people would say “just believe” or “have faith in God”, like it was that simple, like their words would magically make it all better. I used to think to myself “I must have missed the aisle in the supermarket selling faith”. Or, “if it was as easy as that I would have mine already”. No, it wasn’t that easy at all, I had to learn to have faith, trust and believe. 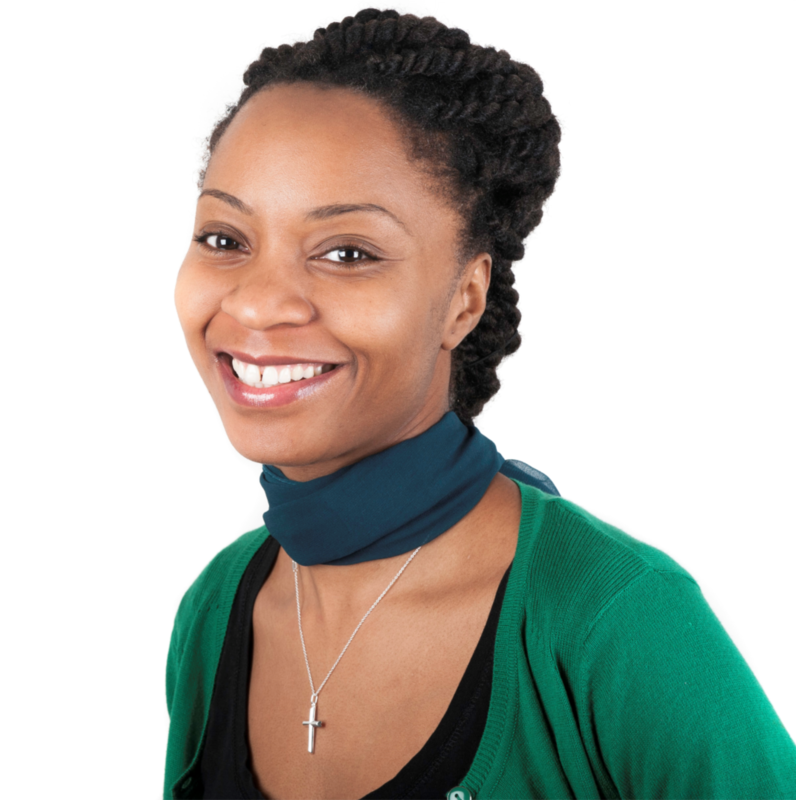 I went from praying for death because I was too good a Catholic to contemplate suicide to speaking about the abundant life and the good things that God has in store for us. What changed? Nothing much on the outside, I’m still living each day with an autoimmune illness – yes, I’m overcoming it but the greatest change has been in my faith. It’s taken almost 6 years, but faith has made all the difference. Faith brought clarity and confidence. Peace and Hope. 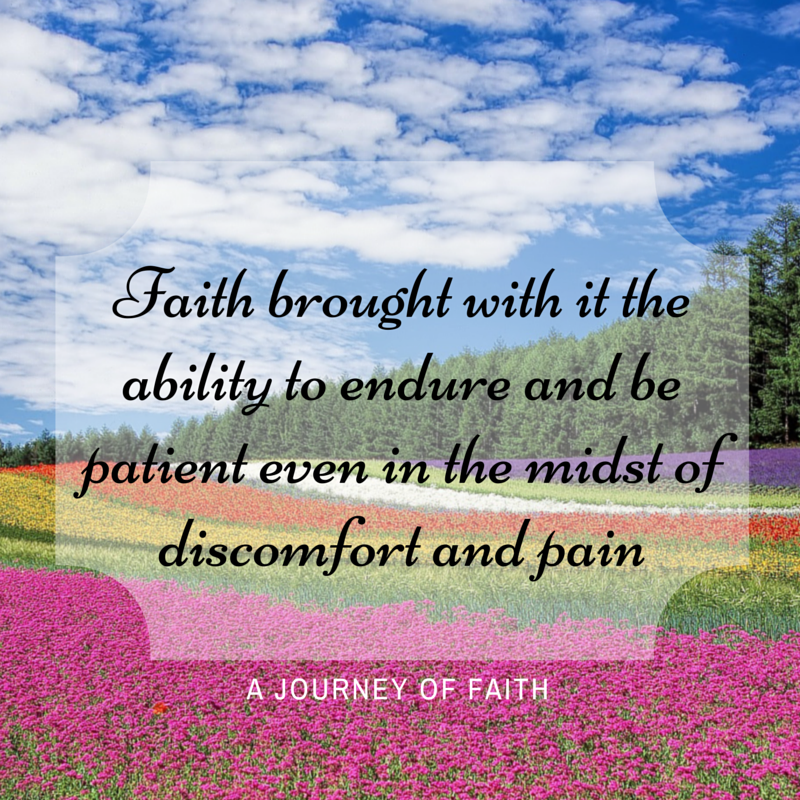 Faith brought such amazing strength and grace in my moments of weakness, fear and doubt. Faith brought songs to my lips and joy to my heart that gave me a reason to smile and keep praising God. Faith brought the freedom to cry, throw tantrums, say what I needed to say or say nothing at all because I was safe in the knowledge that God loved me no matter what. Faith bought me new life and a vision of something better. A song that I often sing is Amazing Grace. Isn’t it funny, how we can often say words without really thinking about the depth of their meaning like “Amazing Grace”? How amazing is Grace? How awesome? Words can never express how amazing Grace is, it’s something you have to feel, live, experience. But God is good, and God loves me and I know this because He has shown me and proved it to me over these last 6 years. And that is how faith is born. So many times people treat faith like a wish, you know just close your eyes real tight, squeeze and think about something you want and it will appear for you. Wrong. That’s not faith, that’s a dream, a lie, a wish. 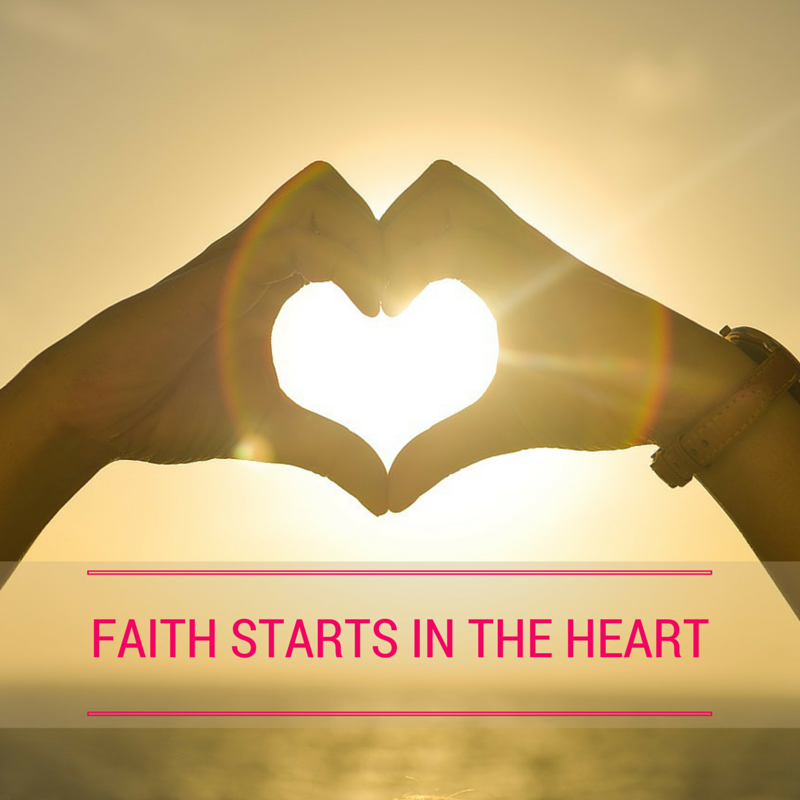 Faith starts in the heart not in the mind. In order to nurture faith we have to let go of our logic and reasoning and “think” from the heart. You know scientists are now saying that the heart has a brain right? It’s the letting go that we struggle with the most, the “what ifs” of it all. What if I laid my heart bare, I let go and nothing happened? That’s the hardest one of all because I just might break. I’ve nearly dropped my faith a couple of times in the last six years because I felt that God wasn’t showing up as I needed Him too. In fact, my last major temper tantrum and “I’m not speaking to you anymore God” episode was actually last year. It was funny because I was actually hurting, real bad, real deep and I was oh so tired of words. I didn’t have words to say and I sure as love didn’t want to listen to anyone else’s either. I was holding on to faith by a gossamer silk thread of hope. God is good and that He doesn’t lie. God is love and He has plans for my good. And because I knew those as truths it led me to a decision. Will I choose to trust Him with my dreams, hopes and desires even in the midst of my heartache or will I choose to turn and walk away for good? Deep down inside I already knew the decision that I would make, but I needed to be ready and willing to make the decision from the deepest part of me because it was the deepest part of me that was in such pain. Faith starts from the heart and as I went through the cycle of faith again, I felt myself release the fears, worries and anxieties. As I did they were replaced by the shalom, joy and strength of the Lord girding and enveloping me once again. None of the external things mattered anymore. I could leave the details up to Him, He was in control. I could entrust my heart and life to Him. That is what faith looks like. The letting go of the pain and allowing the seeds of God’s love and truth to soften the hardness of your heart so that the cracks are healed in the remoulding. So when I speak to people of faith, I’m very aware that it’s not about words. It’s about love and truth. The scariest thing about faith is the letting go, but even that becomes easier when you know that God’s Grace is sufficient and His Love for you knows no bounds. We can choose to nurture faith when we choose to let go. Amen and amen. These words really spoke to my heart this morning… Thank you…. 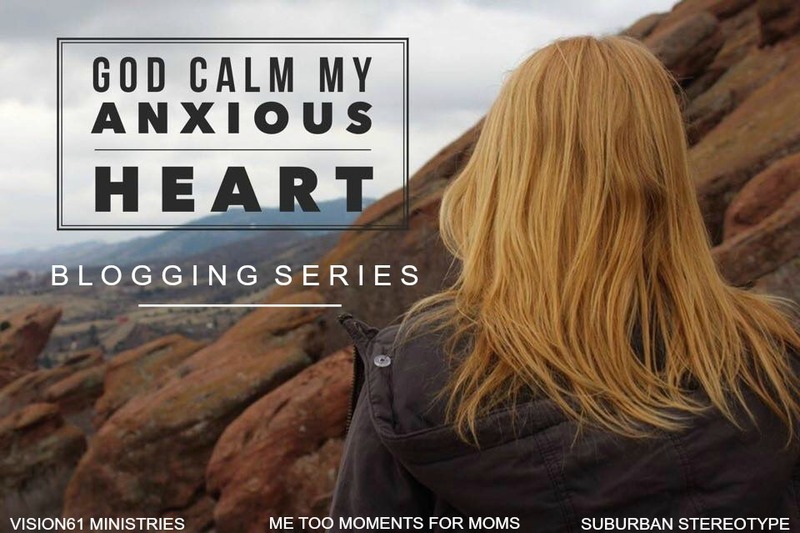 Pingback: The Truth about Faith (God calm my Anxious Heart) | Faith. Health. Potential.